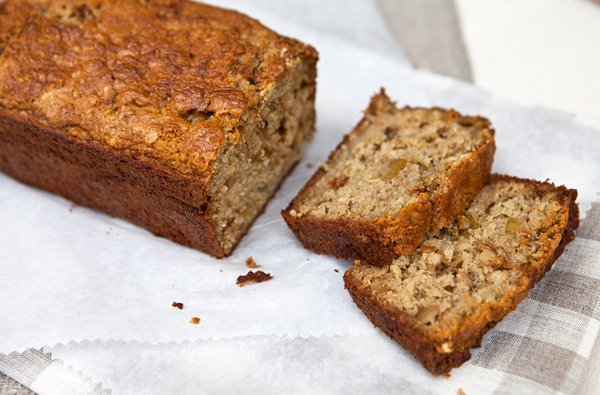 I am always looking for easy, rustic quick breads or cakes that come together easily, taste great and have some good nutritional value. I am slowly finding though, that many “low fat” or “low calorie” recipes tend to turn out a little too dense in texture and can be a little dry for my liking. I therefor usually prefer to play around with a “regular” recipe, rebuilding it to make it a little healthier without sacrificing flavor. 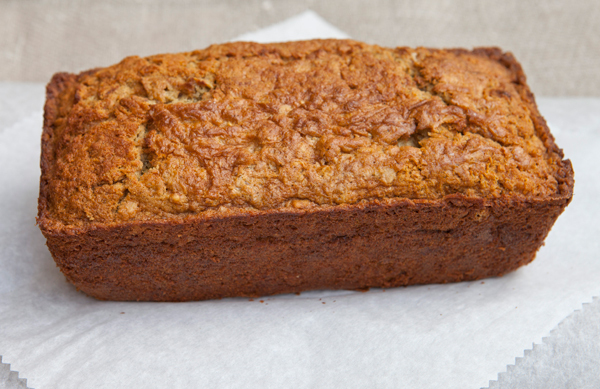 This recipe started out as an Oatmeal Raisin Quick Bread and by the time I was finished with it there was very little left of the original. My version uses virgin coconut oil in place of butter which may alarm some folks who have been told to steer clear of coconut oil It seems however, that coconut oil has been given a bad rap and although it is a saturated fat, it is healthier than butter. The best part of using coconut oil in place of butter is that the oil becomes liquid when warmed like butter, but when refrigerated becomes firm just like butter. Coconut oil, though a saturated fat is a healthier form than butter. Low fat buttermilk helps keep the quick bread moist, but by using a low fat version helps keep the bread lower in total fat grams. 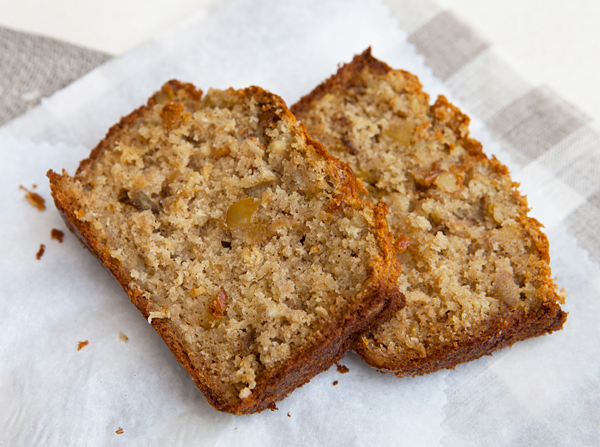 A moist, apple studded bread that would be great for breakfast or as a tasty snack. In a frying pan, prepare the apples by heating the 2 teaspoons of coconut oil and once hot add the chopped apple, cinnamon, and sugar. Cook over medium heat until the apple is tender, about 5 minutes, then set aside. Mix together the buttermilk and rolled oats in a bowl, stir, then set aside for 30 minutes. In one bowl, mix together the flour, oat flour, baking powder, baking, soda, cinnamon, and salt. Add the eggs, brown sugar, and coconut oil to the buttermilk mixture and whisk until blended. Add the flour mixture and apples and stir to mix. Pour the batter into the prepared loaf pan, and bake until set, about 50 minutes, or until a toothpick inserted into the center comes out clean.